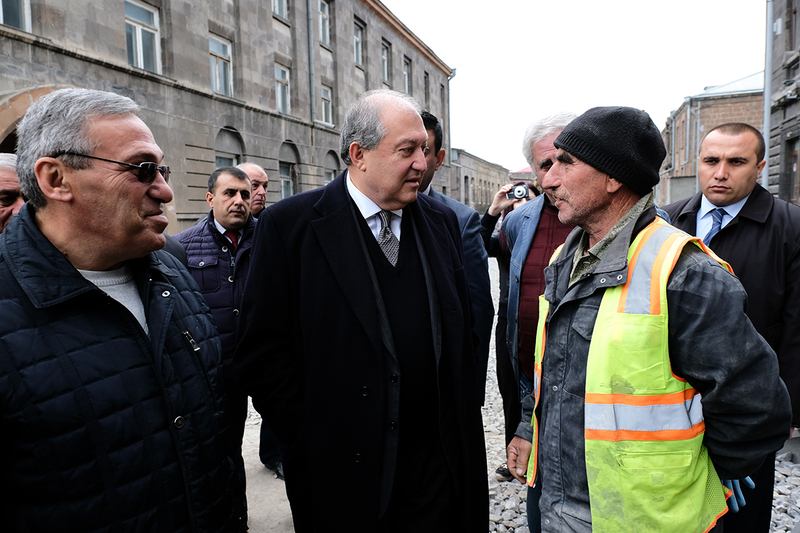 Today, President Armen Sarkissian conducted a brief working visit to Gyumri to observe firsthand the conditions at the building allocated for the Geological museum. 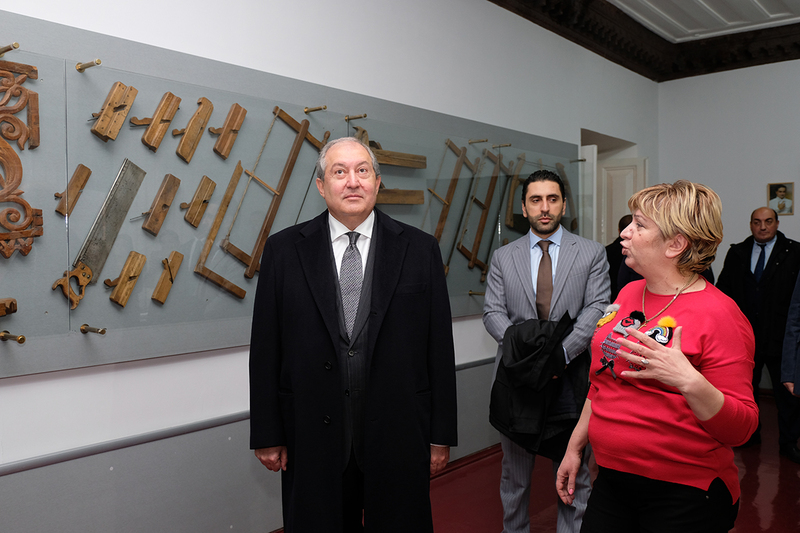 The President toured the premise of the future museum which earlier served as the Galust Gyulbenkian surgical hospital. To satisfy the requirements defined for museums, the premise needs renovation works. 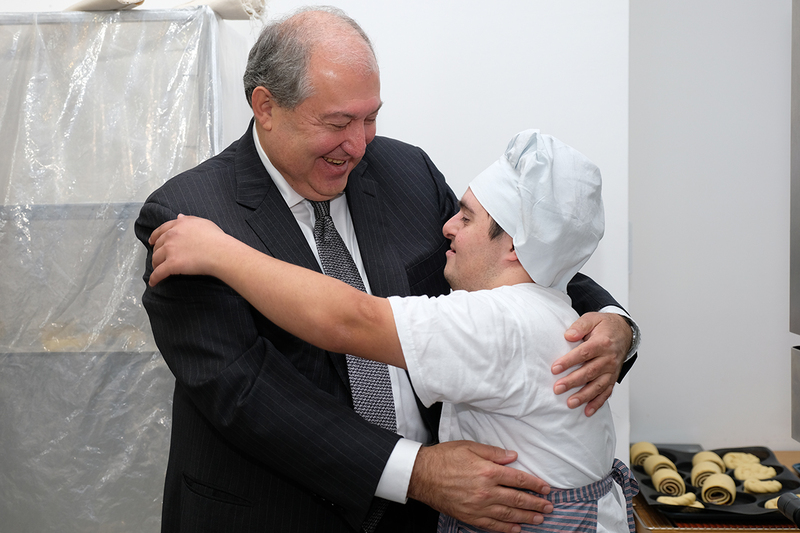 President Sarkissian promised to help. 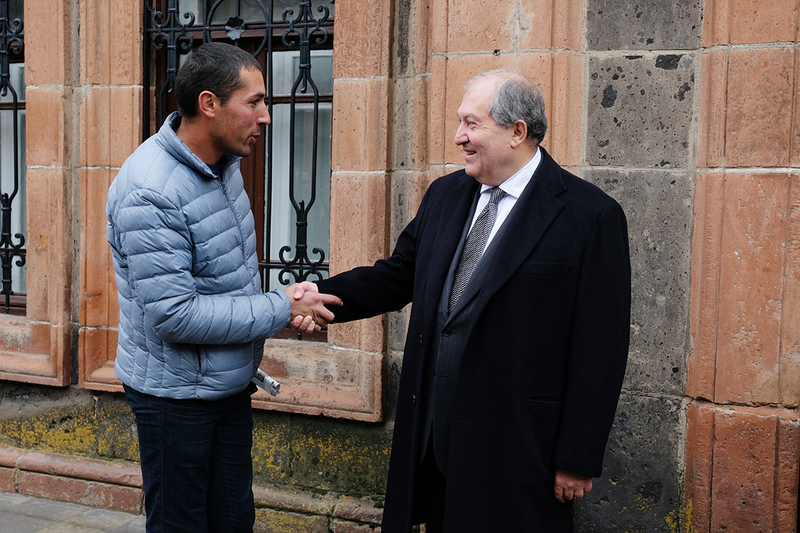 In a conversation with the journalists, he noted that during his previous visit to Gyumri, he had promised to follow the future developments related to the geological museum. “I have come to see the building of the future museum and to ponder how I can help. There are different ways to help – personal, through the friends, through sponsor programs. 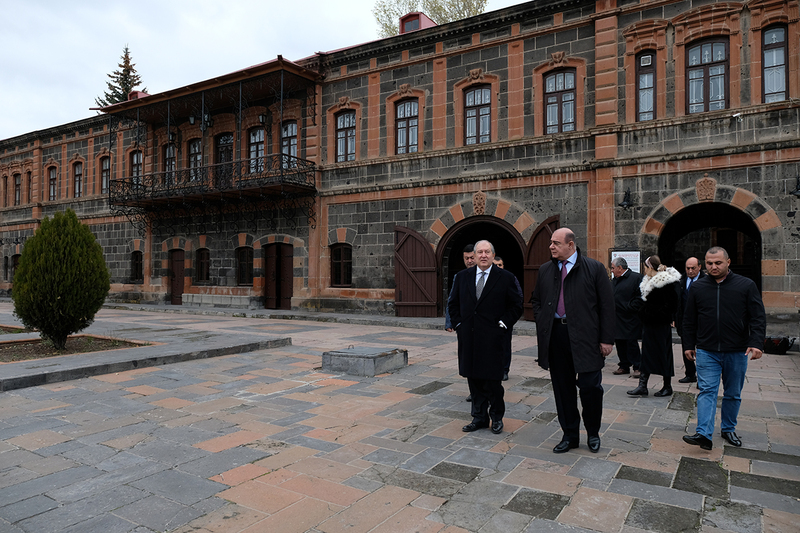 This museum will become an attraction point in Gyumri,” President Sarkissian said. 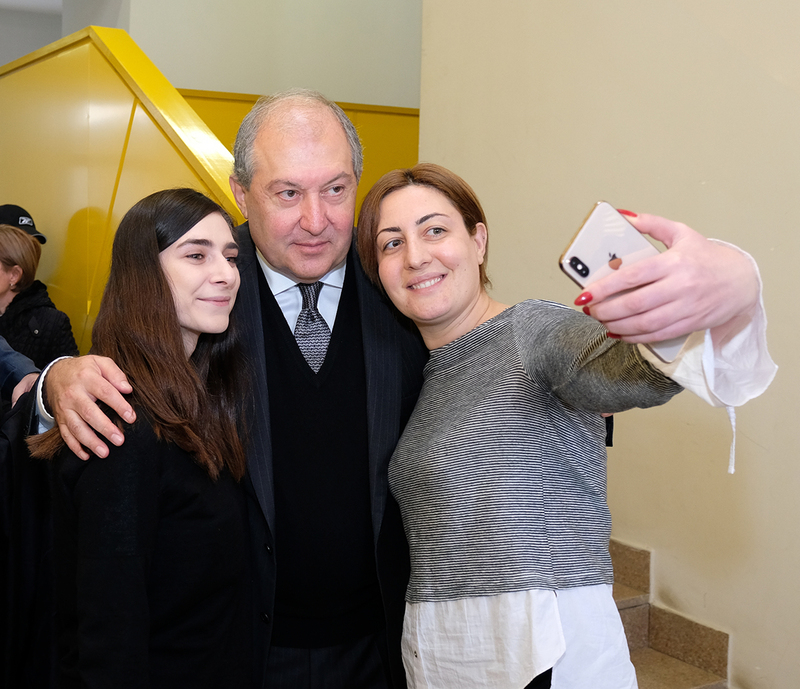 As the President of the International Council of the “Yerevan, My Love” Foundation, Armen Sarkissian informed that all design related expenses for the museum will be paid by the Foundation. 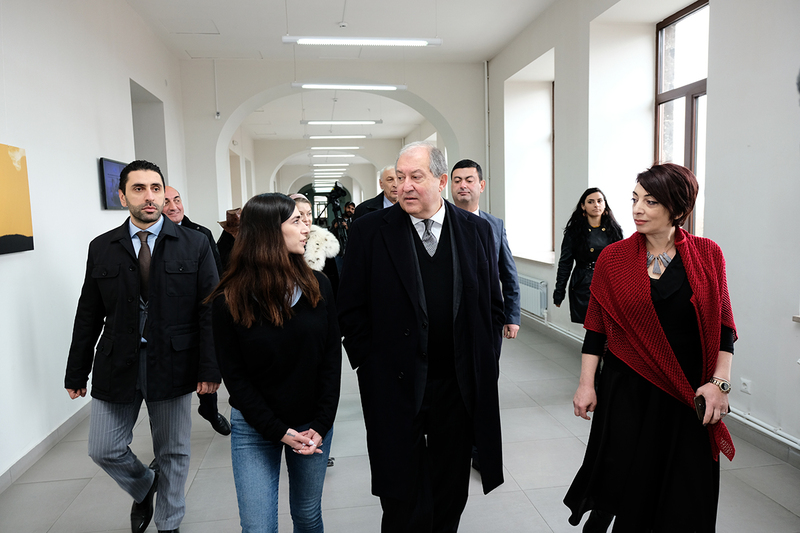 “Probably, it will be necessary to establish another charity organization which will be named “Gyumri, My Love,” President Sarkissian said. 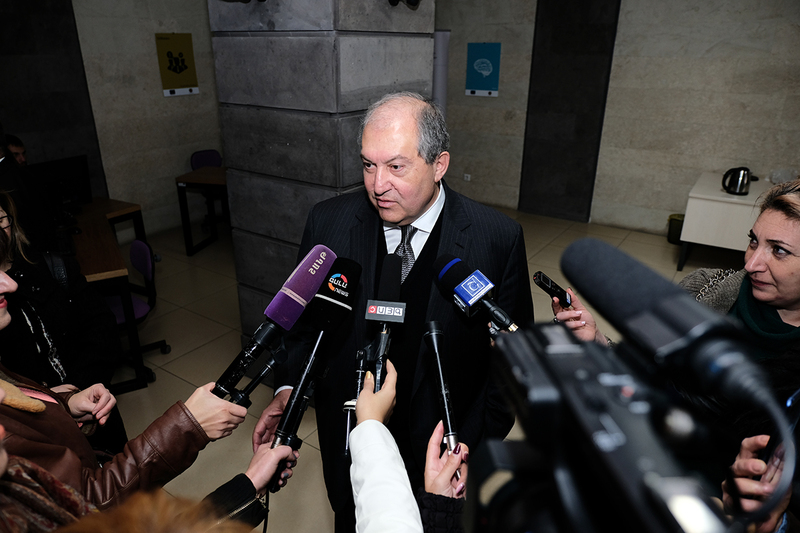 The geological museum program is not President Sarkissian’s first project in Gyumri. 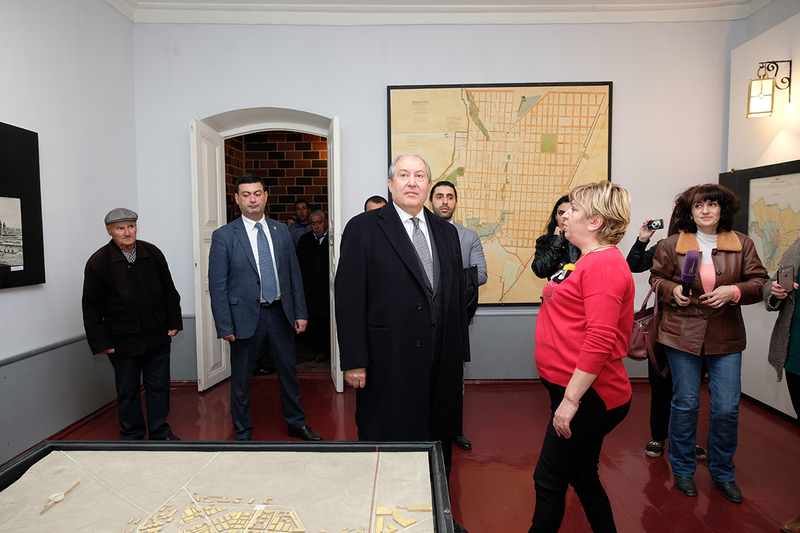 In the past, through his assistance the Gyumri National Architecture and Urban Life Museum, the famous Dzitoghtsonts House was renovated. 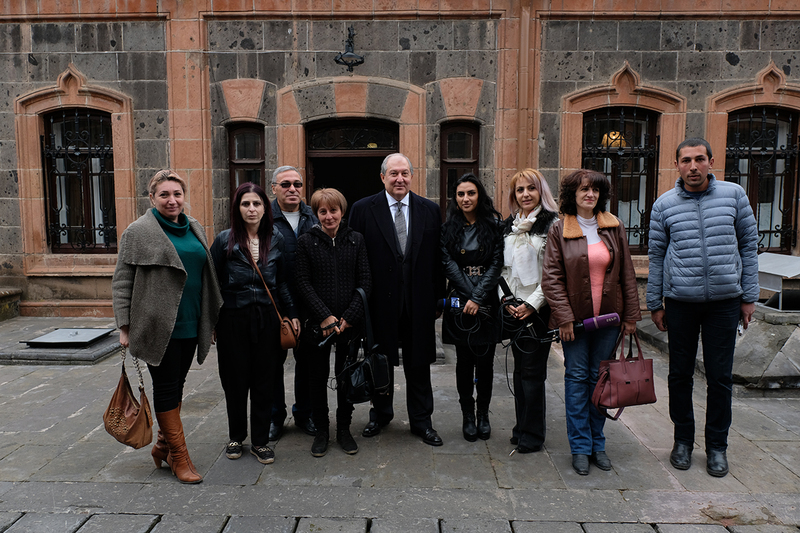 It became the next stop of the President’s current visit to Gyumri. 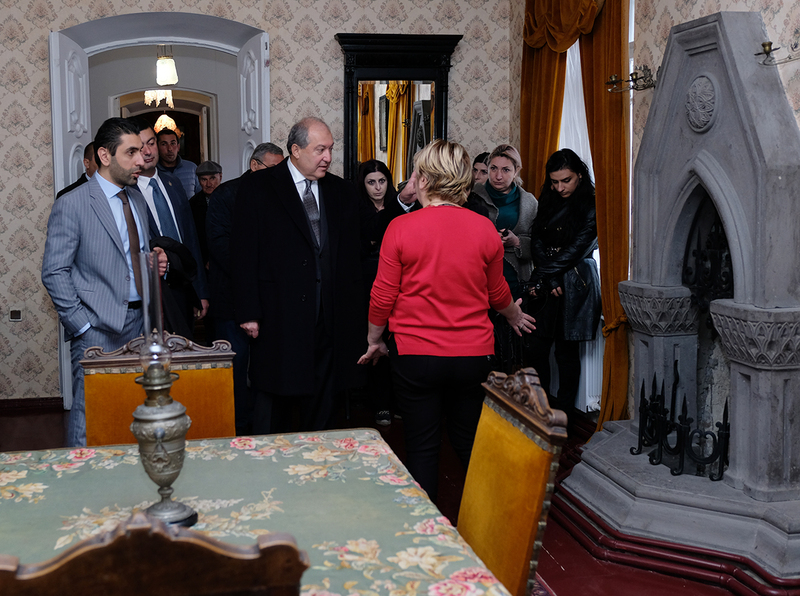 The President was received here as a dear guest, with the appreciation for his contribution to the normal functioning of this cultural center which has become one of the visiting cards of Gyumri. “Dzitoghtsonts House in a way is a dear place because my grandpa from one side was Dzutightsi, from Dzitogh proper, Erzrum,” the President admitted in the conversation with the journalists. 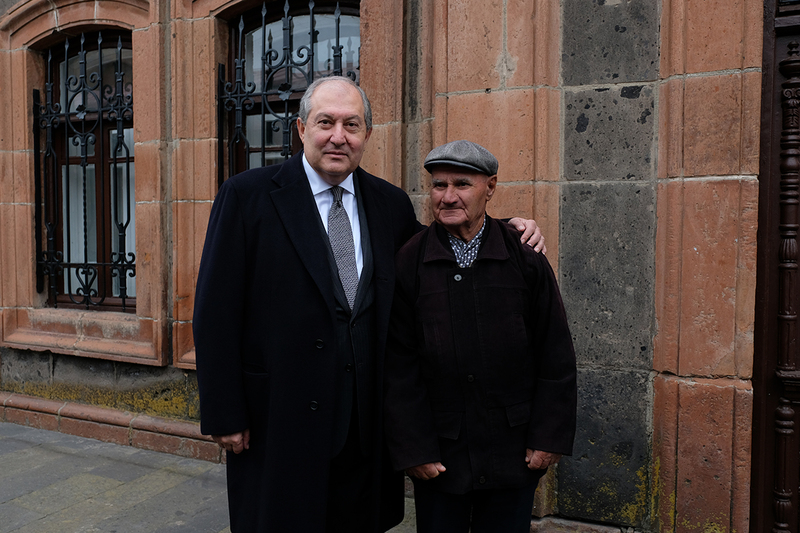 Armen Sarkissian toured the Museum and observed exhibits related to the daily life of the residents of Gyumri. 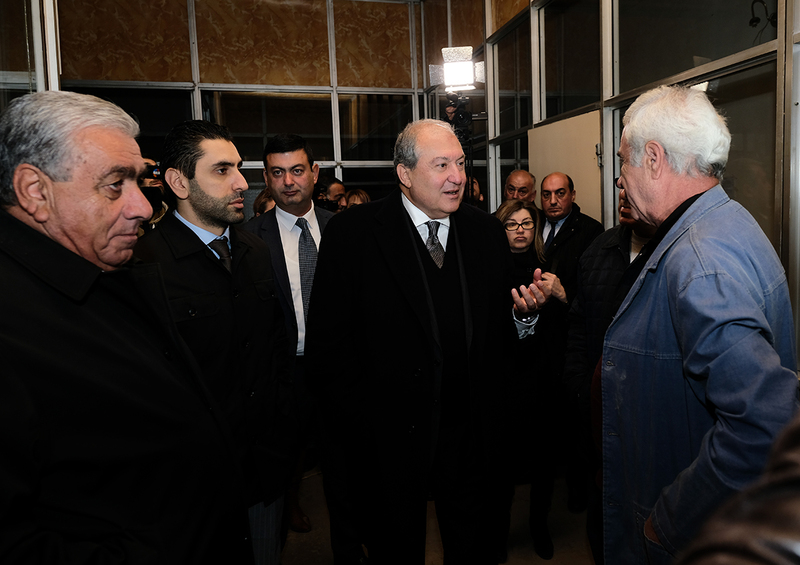 The President of Armenia was familiarized with the programs and existing problems of the Museum which need to be addressed. 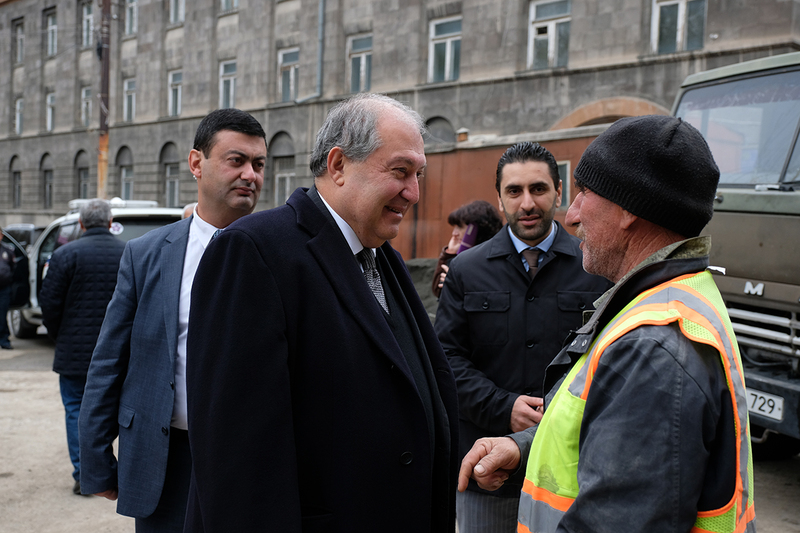 President Sarkissian promised to find solutions through the future “Gyumri, My Love” Foundation. 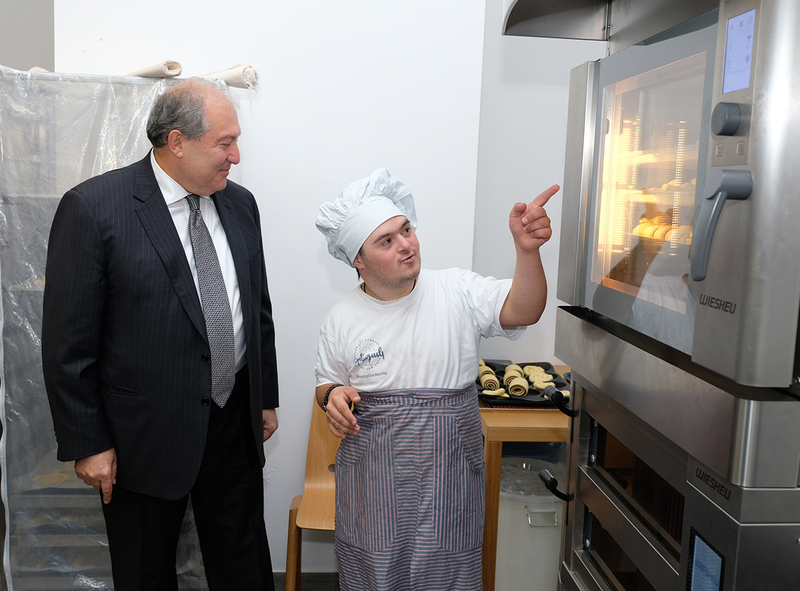 President Sarkissian visited also the Technological Center of Gyumri. During the tour, he familiarized with the ongoing programs. 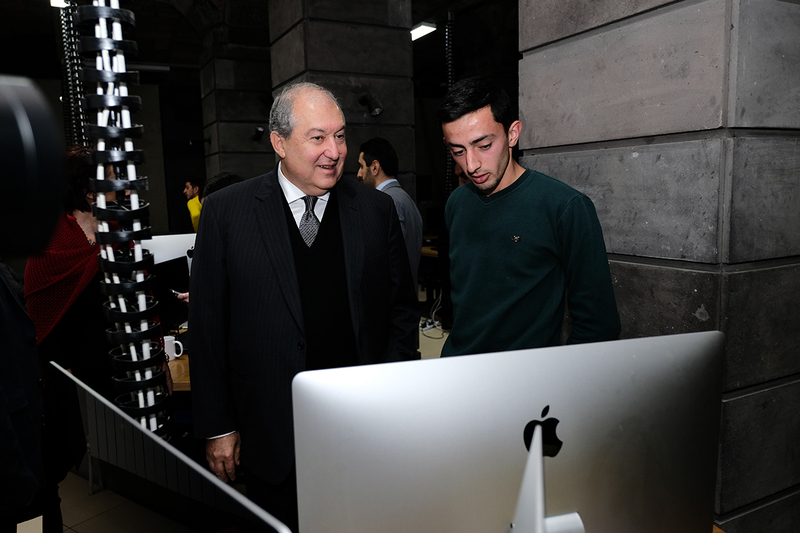 At the innovative incubation laboratory functioning at the Center, President conversed with the students and learned about their activities and interests. 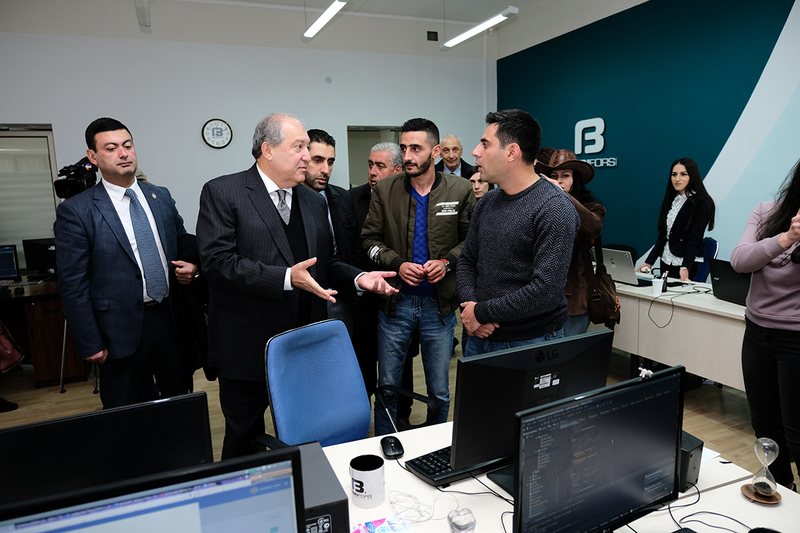 The President said that he would visit the Technological Center soon with a more comprehensive program. 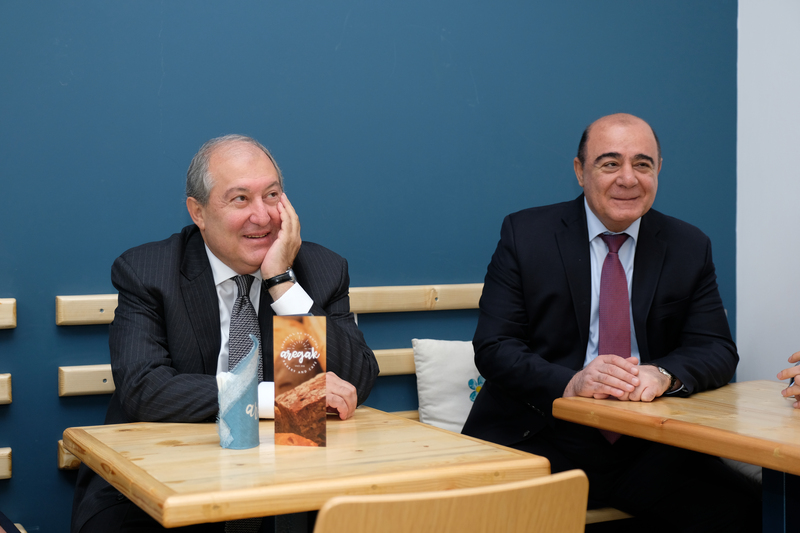 Aregak café in Gyumri, which the President also visited, is special for its milieu, program, and the mission. 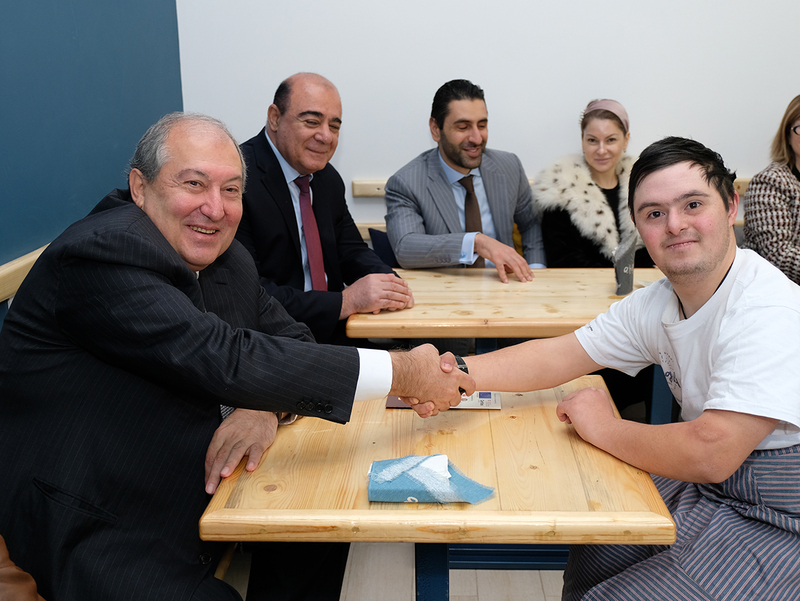 The environment here is exemplary, with an inclusive café and a bakery whose employees are exceptionally young people with limited abilities and parents of the impaired children. 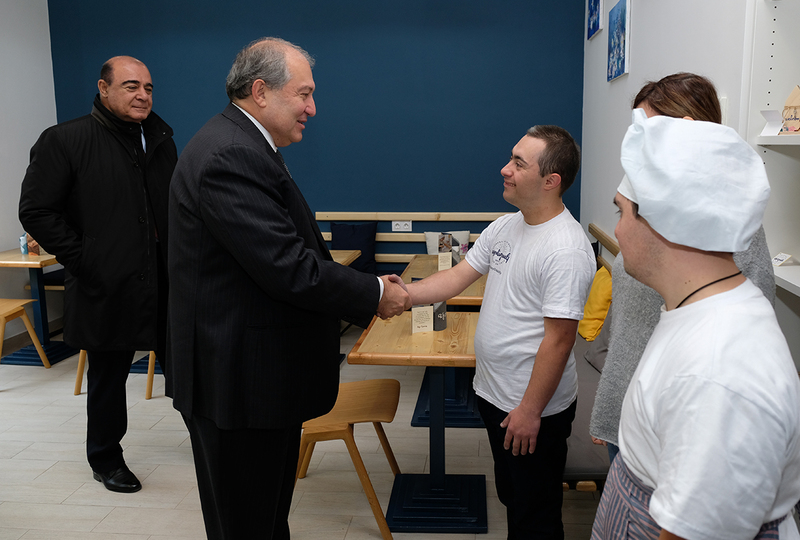 The employees of the café cordially welcomed the President and conversed with him during a frank conversation and treated him to the sweet pies made on the premise. 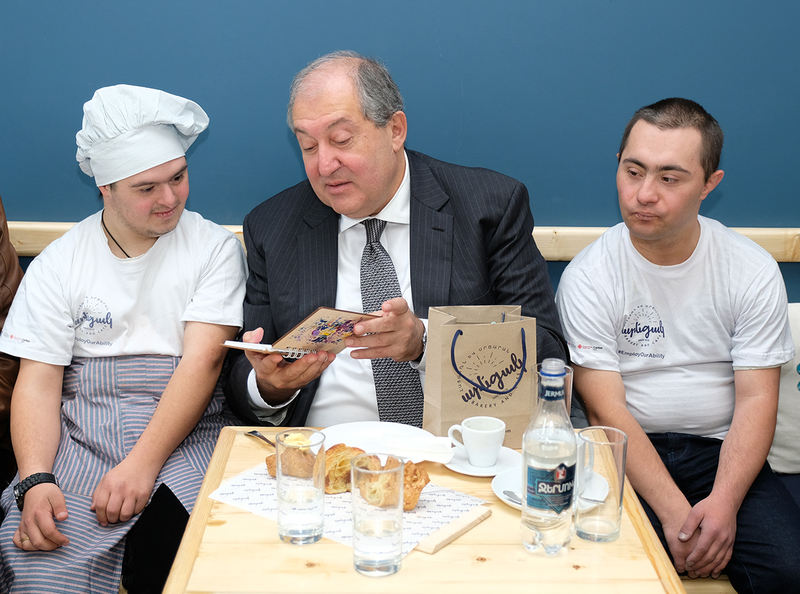 Impressed by the meeting, Armen Sarkissian promised to visit the café again, where he has already made friends in the person of Michael, Grisha, Hovhaness, and other involved with the inclusive program. 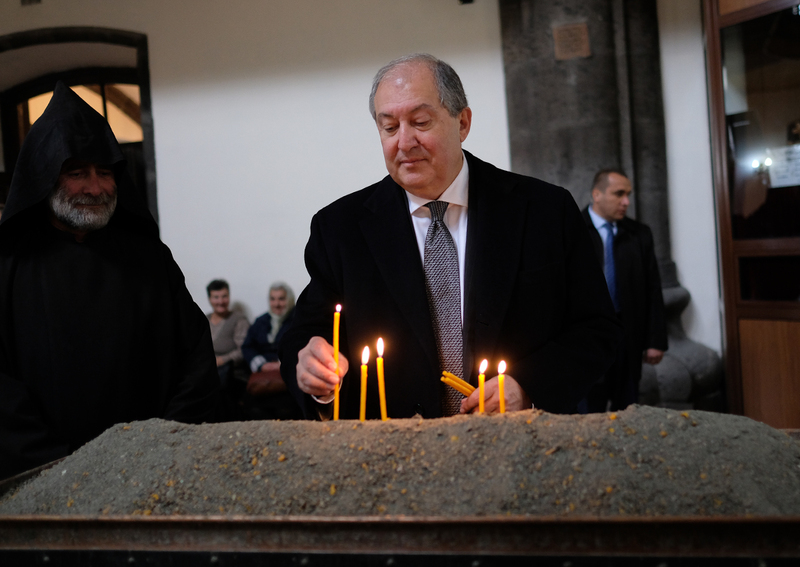 At the conclusion of his visit to Gyumri, President Sarkissian lit a candle at the Holy Mother (Seven Wounds) Church where at the moment a wedding was taking place. 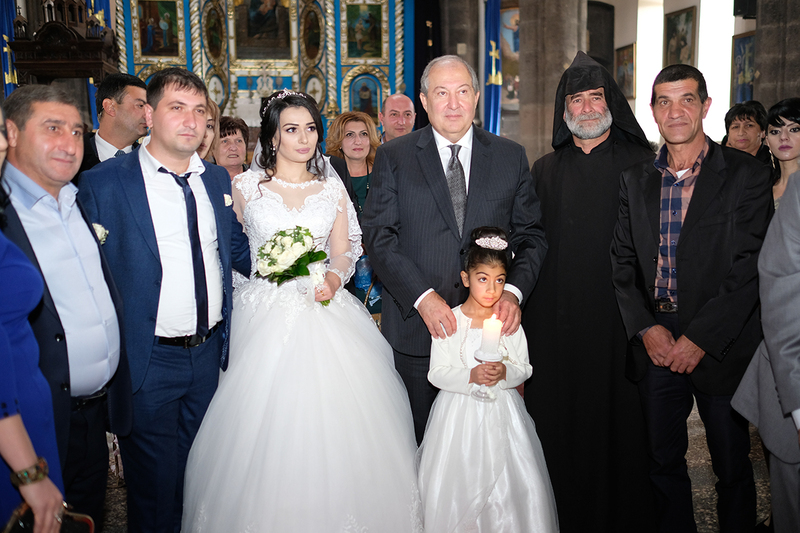 The President congratulated the newlyweds and wished them happiness.